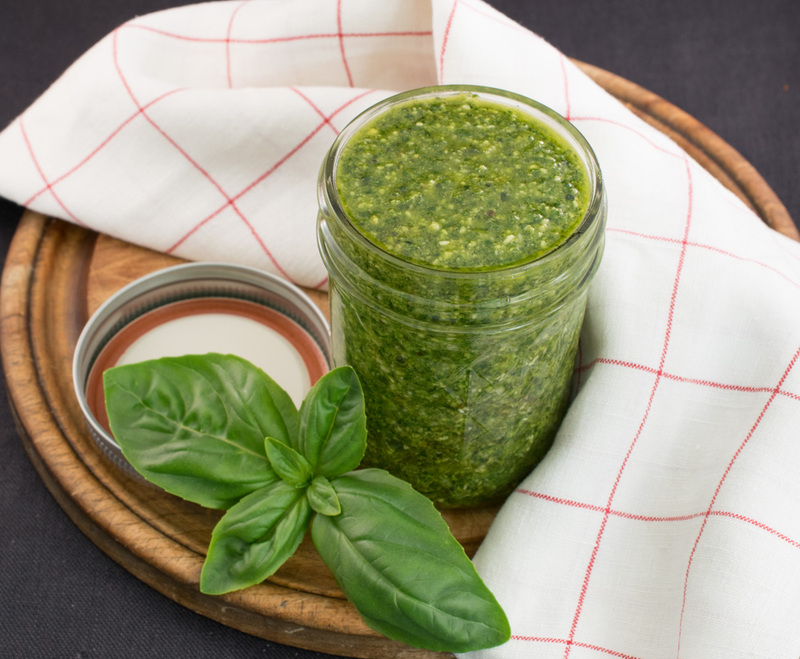 Pesto has so many uses and it is so easy to make, I love to have it on hand. I frequently buy a little extra basil so I can make pesto and freeze it. 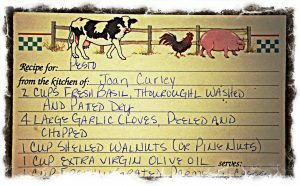 This recipe is another great one from my dear friend Joan. 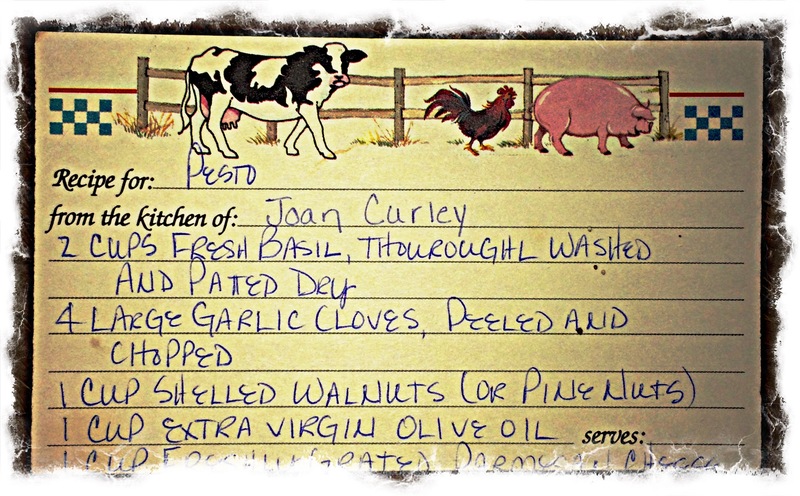 Many years ago, Joan gave me this recipe on a handwritten recipe card. Do people still use recipe cards? I hope so. There is something very comforting seeing the card that says “Recipe for: PESTO, from the kitchen of Joan”, in her beautiful handwriting (see below). In a food processor, with the blade attachment, combine basil, garlic, nuts and blend. With the motor running, add the olive oil in a slow steady stream. Shut off the motor and add the cheese, salt and pepper. Pulse a couple of times, just to combine. Scrape into a bowl and keep covered until ready to use. USES: Great pasta sauce (one cup of pesto to one pound of pasta). Other uses include caprese salad, pizza, pesto hummus, pesto croutons, grilled or roasted chicken, pesto shrimp, sandwich spread, crusty bread, and pesto butter, to name a few.